Liverpool boss Jurgen Klopp is determined to reinforce the squad in January and considering to sign an experienced stopper Danijel Subašić from Ligue 1 club Monaco. The Reds have already signed Hungarian keeper Ádám Bogdán, but he failed tomake an impact at Anfield. The German manager coach wants to sign Subašić to back up his number 1 choice Simon Mignolet and copy the practice of many European clubs which play with different stoppers at domestic and foreign competitions. 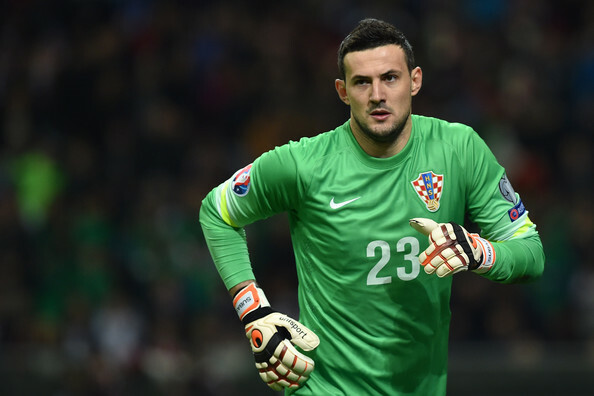 The Croatia international is an agile, strong, and commanding shot-stopper, who is hugely experienced at the highest level. During the 2014–15 season, the 31-year-old goalie kept 8 consecutive clean sheets in Ligue 1 matches. On 8 February 2015, his impressive run of not conceding a goal ended after 842 minutes in an away match against Guingamp. Subašić has contract with Monaco till 2019 and is valued €6m by the Transfermarkt. Chelsea midfielder Nemanja Matic, spoke about the current situation around the Blues’ and also has refused to think about relegation after his side dropped to 16th place in the Premier League table. “I think we deserve more. We are not used to being in this position.” – the 27-year-old player told London Evening Standard. “He [Mourinho] prepared for the game in the last couple of training sessions after Dynamo Kiev. “We knew what we had to do. We did our job well. Matic has rejoined Chelsea on 15 January 2014, for a fee of £21 million (€25M), on a five-and-a-half-year contract and became a significant factor the Blues’ last season success. European giants Arsenal, Tottenham, Atlético Madrid and Roma have received a boos over Inter Milan striker Rey Manaj. As per the player’s representative the 18-year-old hitman is unhappy with his little playing time and wants to change a workplace in January. English clubs were linked with Manaj during the transfer window but player has decided to play at Serie A giants. However, Arsene Wenger is actively monitoring the situation around Albania international and could make a move in upcoming transfer window to secure the promising starlet. on 14 July 2015 the 6ft target-man was sold to Inter for a fee of €1 million and he signed a 5-year contract. But Manaj failed to make an impact at Nerazzurri as he made just two appearances this term in Serie A.